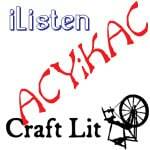 It is made from Nashua Handknits Creative Focus Cotton in “Buttercup” on US 6 needles. The pattern is Horizontal Parallelogram Check from Barbara Walker’s First Treasury of Knitting Patterns. 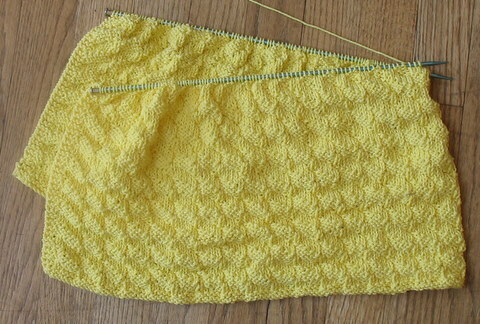 It is knit in the round from the bottom up until the armholes. The yarn is “Angora Soft” from Knit One, Crochet Too on US size 7 needles. The pattern suggests a US 3, but I had to go up to a 7 to get gauge. Since I’m typically a loose knitter, this rayon/nylon/angora blend must be very different from the alpaca/silk the pattern calls for, but I like the way it’s coming out, and I’ll be able to wear it more easily in warmer weather. 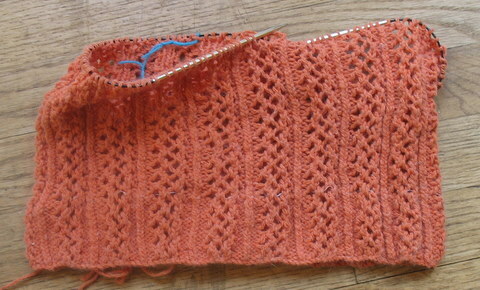 This entry was posted on Tuesday, March 31st, 2009 at 7:11 pm and is filed under Blanket, Garment, WIP. You can follow any responses to this entry through the RSS 2.0 feed. You can leave a response, or trackback from your own site.